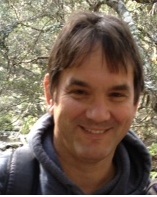 Dr Peter Brett Peter is an experienced teacher educator with specific professional expertise in the areas of civics and citizenship education and history education. He worked as a Secondary teacher educator at the University of Cumbria in the north of England from 1993 to 2008 before arriving at UTAS in November 2011. Peter was involved in a number of ways in the launch of citizenship education in England from 2002-2008. He was seconded as a continuing professional development consultant to the UK government’s Department for Education and Skills (DfES) (2003-2005), he was a member of the Steering committee of the collaborative CitizED project (2003-2006), a chair of examiners for a GCSE Citizenship Studies (2002-2010), and designed and led a distinctive programme training specialist citizenship teachers. 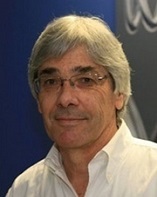 He also wrote and edited a number of school textbooks.Peter also has recent senior leadership experience in schools, having served as a Director of Learning (Communication, Culture, and Community) at an 11-18 Academy school in the north of England from 2008-2010. He completed his PhD in History (early nineteenth century British popular politics) at the University of Durham in 1991 and then worked as a History teacher in a 13-18 high school in Northumberland. He is on the Steering Committee of the Social and Citizenship Education Association of Australia and is currently the co-editor of the association’s professional and academic journal, The Social Educator. Dr Kay Carroll is currently a Team Leader in Catholic schools in NSW supporting global literacy and professional learning. Dr. Carroll’s research interests are global education, ICT rich pedagogy, teacher efficacy and curriculum. She has worked as a senior lecturer and Deputy Head of School at the Australian Catholic University, and as a teacher educator at Macquarie and UTS, Sydney. Previously, Dr Carroll has been a classroom teacher and Head of Department in secondary state and Independent schools. Her current areas of focus are critical literacy and global education. 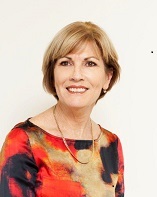 Bronwyn Cole is Pro Vice-Chancellor (Education) at the University of Western Sydney. She continues to teach, research and write about curriculum, teacher pedagogy and student engagement, particularly in Human Society and Its Environment (HSIE K-6). She has been awarded several teaching citations and awards at university and national teaching awards. 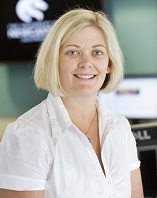 Bronwyn is a foundation member of the internationally recognised Fair Go Research Team, focusing on pedagogy and engagement of students in schooling and is well known for her work with Storypath curriculum and pedagogy, an approach that is successful in engaging students and enhancing their academic and social outcomes. Her current research includes comparative studies of Storypath in Australia and USA, extensive study of teachers who ‘make a difference’ to students in poverty, and investigation of first year standards and curricula in the higher education sectorJulie Dyer, Deakin University. Professor Murray Print, PhD is recognized internationally as a leader in Civics and Citizenship Education. He has directed many research projects in civics and democratic education including Values, Policy and Civics Education in the Asia-Pacific Region, the first phase of the IEA CivEd Study; and most recently a major ARC-funded project on youth participation in democracy. Professor Print has played a key role in stimulating citizenship education in many countries and recently led the development of the Civics and Citizenship Curriculum for the Australian Curriculum. 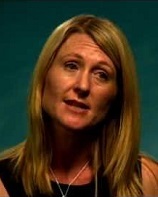 Dr Heather Sharp (The University of Newcastle; Australia) is convenor of the History Network for Teachers and Researchers (HNTR); and the Special Issues Editor of Historical Encounters. Heather’s research has included analysis of the representations of Indigenous Australians and British heritages in History textbooks; and more recently, the exploration of competing representations of Gallipoli in Australian and Turkish history textbooks. 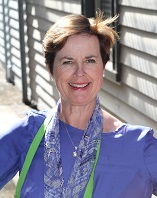 Libby Tudball is Director of Undergraduate Programs in the Faculty of Education at Monash University. She leads curriculum design and the development of practice for initial teacher education programs. Her research in the humanities and social sciences and the internationalisation of education includes a focus on the implementation of global perspectives, civics and citizenship, intercultural learning and education for sustainability across all courses.Key words: PhD students PhD students University of Newcastle PhD Global Education PhD supervision PhD Supervisors University of Newcastle PhD Cooperative Learning PhD Environmental Education PhD History Education PhD Elementary Education PhD Social Justice PhD Intercultural Understanding PhD Children’s Literature PhD Citizenship Education PhD Global Citizenship PhD. Associate Professor Deborah Henderson(Queensland University of Technology, Australia) has a background in History and Social Sciences Curricula with a passionate commitment to citizenship education. Her research interests include developing intercultural understanding, Asia Literacy and values education in the curriculum and she has published extensively on globalisation, history curriculum, Asia literacy and pre-service teacher education.